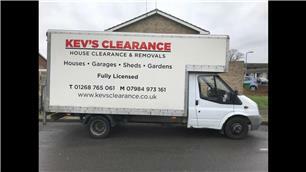 Kev's House & Rubbish Clearance - Removals/Storage, Rubbish/Waste/Clearance based in Wickford, Essex. We are a family run local business with 25 years removal experience and pride ourselves on our professional service. We carry a full waste carrier license and are fully insured. If it’s a full house clearance or single item we do it all. Whether you are clearing space in a loft doing up your garden or just decluttering we can help. We also do removals if it’s a 4 bed house or a 1 bedroom flat we do it all. We are very professional and take the stress out of the big day all furniture is covered with blankets and we disconnect all appliances. These are just a few clients we do regular work for.